With over 85+ Years of combined industry experience amongst our senior management, you can rest assured that our team has the knowledge and contacts to assist in almost any type of commercial lending solution. Acumen Finance was formed out of necessity to give businesses access to unbiased and flexible business banking services. Nathan Daly has been engaged in private and alternative capital markets for the past 18 years, and thus has a specialised understanding of Australia’s financial landscape. He has worked in structured finance facilities ranging from small companies to publicly listed corporations, and has driven a wide range of securitised investment vehicles as both originator and as principal investor. Well-known and respected in the field, Nathan carries with him a strong network of sophisticated investors who have the flexibility to participate in transactions with tricky timing and technical constraints, giving Acumen Finance a significant advantage over larger, less agile institutions. Nathan’s transaction portfolio is testament to his abilities and industry contacts; he arranged and settled a $33,000,000 loan within 4 days of having the transaction presented to him. Peter Kumar M.B.A serves as an honorary consultant with Acumen Finance, advising and guiding us with his international expertise and insight in global financial trends. Dr.Kumar travels extensively, keeping up to date with the latest developments and opportunities in the worldwide marketplace. We value his knowledge and experience, and with his direction and leadership we have taken on new strategic opportunities in diverse countries. Joseph Lee is a valued Partner of Acumen Finance. He has hands on experience with major technical projects. This covers pricing, concept and delivery. His core strength is leveraging from his commercial background and contacts. This is coupled with a pragmatic mindset around project feasibility and assisting in formulating workable project finance structure. Joseph is also currently Managing Director of JD International Co.,Ltd. (Korea) JD International is “On/Offshore Engineering and Construction Development Company. JD is specialized in infrastructure and Oil & Gas projects. With 30 years of Experience of management in Engineering and Construction area. Joseph has led infrastructure developments Projects in USA, Middle East, South Asia and Africa. Justin Ericson is a qualified accountant with specialisation in tax, corporate recovery, asset protection and finance. Justin has sound industry knowledge spanning property, rural enterprise, international business, charity law, indigenous corporations and corporate structuring. Justin is a key advisor to many companies and government departments both locally and internationally. He has board seats on several SME’s and land trusts globally. His proven experience also encompasses business turnaround, succession planning, corporate risk management, structuring of joint ventures and syndicated deal platforms. Matthew has elite experience in Management, Sales and Customer Service over the past 18 years in the Prestige Luxury Motor Industries / Finance and Tech Space. He has had some extraordinary achievements with disruptive media and holding the record for some of the largest year on year sales volumes. 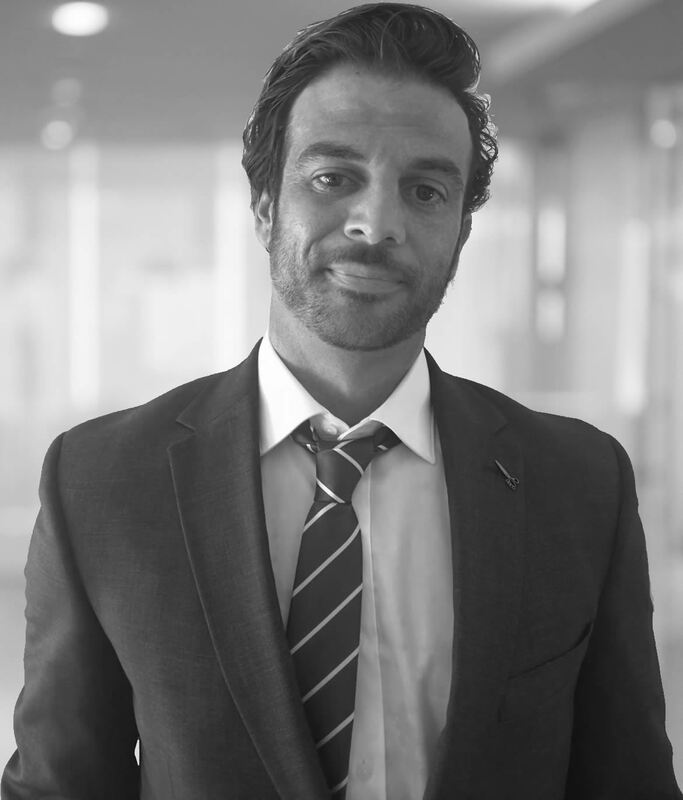 He joins the Acumen Finance team with a wealth of knowledge and vision for the future. He is also the principle and founder of a software platform that has revolutionized how car dealers do secondary stock trades. His major clients include the likes of Tesla. He is known for his ability to pragmatically see the commercial realities of a transaction but to then overdeliver through good honest service and transparency. Matthew is known to stay back in the office until 11 pm to get a document completed for a client if he promised to have it sent the same day. His clients include domestic and international banks, high net worth individuals, small to medium sized businesses and multi-national corporations. 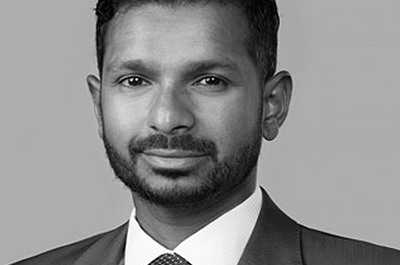 Prior to joining Nexus, Deepesh was Special Counsel at a global law firm. Deepesh is admitted to practice in Australia and Canada and is co-author of “Business Laws of Canada” (Thomson West). 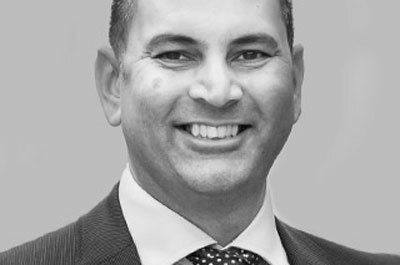 Deepesh is commended for being accessible, easy to work with and for providing practical and timely commercial advice. Our clients know that expert legal advice is the smart way to level the playing field with banks. They know banks approach transactions like any other commercial entity: with their own interests in mind. And our clients appreciate that there is extra room for negotiation with a bank when you have an expert in your corner. We have knowledge of the laws and methods of business in many overseas markets, including the United States, the United Kingdom, Singapore, Hong Kong, mainland China, and Papua New Guinea and the Pacific Islands. Our lawyers have a deep skillset, which comes from years of experience in banking, and in relevant sub-sectors like property, corporate and agrifinance. Our clients have ready access to the senior lawyers on their matters — experts with the confidence to give straightforward commercial advice. And our structure ensures there is no more cost-effective model to access this level of experience. We work for individuals and businesses to achieve their short- and long-term financial goals. Our lawyers’ experience includes acting for companies listed on the ASX, trust and superannuation vehicles (both self-managed superannuation funds and corporate superannuation funds), and government departments and regulatory bodies. We act for lenders and borrowers. Nexus’ banking and finance experts assist with bank debt arrangements, across business, commercial and institutional levels. We also provide advice on project, infrastructure and property finance; trade, import/export and receivables financing; note issuances and debt-to-equity structures; and access to and the benefits of using — debt capital markets. Our corporate finance lawyers provide effective advice to clients, while always keeping their legal and commercial expectations in mind. We act for financiers and borrowers across a spectrum of corporate financing transactions. We have in-depth knowledge of the laws and methods of business in many overseas markets, including the United States, Canada, the United Kingdom, Singapore, Japan, Hong Kong and mainland China. We advise on debt finance transactions ranging from complex cross-border syndicated institutional and corporate-level debt finance facilities, to high-volume residential mortgage loans for foreign individual purchasers. We also act for domestic, foreign and global banks, and other lenders with respect to residential mortgage loans. Many of our lawyers are qualified to practise in multiple jurisdictions and have extensive experience in doing so. We act for domestic and global banks, property and mezzanine financiers and other non-bank lenders. Our lawyers have acted for some of the world’s leading financial institutions, including DBS Bank, the Commonwealth Bank of Australia, Westpac, NAB, GE Capital, HSBC, ANZ, Maybank and CIMB Bank. We advise on all aspects of business, including corporate structuring, M&A, financing, franchising and commercial agreements through to commercial litigation and dispute resolution. We work with our clients to understand the commercial outcomes they are looking for, then we deliver concise and pragmatic advice designed to support those goals. We have significant experience acting for private and listed corporate entities, high net worth individuals, small to medium businesses and their directors and shareholders. Our experience spans a range of industries, including fast-moving consumer goods (FMCG), food and beverage, green technology, construction, development, mining and manufacturing. Joint ventures and partnerships are often complex arrangements that require carefully negotiation and documentation. Nexus’ lawyers have considerable experience of providing the greatest level of protection and asset distribution, by structuring business entities and by negotiating, drafting and reviewing joint venture, partnership and shareholder agreements. We work closely with senior executive teams, and leading accountancy and financial service providers to offer a streamlined, effective service. We are construction law and litigation specialists who have worked in-house and on site with client teams, so we understand how construction decisions are made in the real world. By making sure we understand our clients’ risk profile and any specific risks that should be considered, we can give outcome-focussed advice that reflects how our clients want to approach a project. We pride ourselves on being reachable, and quick to deliver advice that is readily understandable and easy to act on. The Nexus model means that we are able to agree billing structures that suit clients, and that do not require constant renegotiation. We understand the intricacies of the security of payment legislation, and have successfully prepared and defended adjudication applications throughout Australia, including both obtaining and setting aside summary judgments under the acts. We have longstanding relationships with numerous clients and industry bodies in the construction and infrastructure industry, and have helped many of our clients put in place appropriate contracts and procedures to effectively deal with claims under the legislation. We act for principals, head contractors, sub-contractors and consultants. We have a track record of fast, strategic and cost-effective problem solving and technical expertise across a variety of dispute situations, ranging from small business disputes and debt recoveries through to matters of significant complexity and financial value. We act in all contentious areas affecting business entities, including contract, corporations law, insolvency, debt recovery, environment, intellectual property, insurance, property, torts and trade practices/consumer law in state and federal courts, Land and Environment Court and tribunals, including the NSW Civil & Administrative Tribunal (NCAT), the Administrative Appeals Tribunal (AAT), specialist tribunals (e.g. ICAC) and sporting tribunals. Our lawyers have an in-depth understanding of dispute-resolution processes, which allows us to provide clients in any industry with accurate, timely, effective and pragmatic advice in relation to potential outcomes and risks. Our goal is for our clients to return to concentrating on their business and their life as quickly as possible, free from the shadow a dispute can cast. And the Nexus model means it is easier for us to charge on a value basis rather than an hourly rate so that dispute resolution and litigation don’t have to look like they used to on a balance sheet. Our clients are in banking and finance, building and construction, energy, infrastructure, mining, logistics, primary production, agribusiness, government, hospitality, tourism and gaming, real estate, start-ups, tax and superannuation.